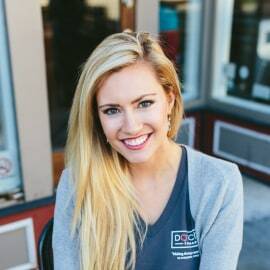 Certified in Speech Language Pathology alongside a Master’s degree from Missouri State University and Education Specialist degree with a focus in special education from Arkansas State University, Emily Purdom is the co-founder of DotCom Therapy® (DCT). She establishes and maintains communication of company mission, procedures, and expectations with current and prospective therapists, special education teams, and partners. As a thought leader in the industry, Emily investigates and implements advances in teletherapy delivery and advocates for necessary industry redesign through teletherapy practice. Her numerous presentations on telepractice, along with her background as a therapist, afford her the ability to understand the ongoing issues in the industry. Emily’s passion and drive for quality, consistent therapy are promoted through DCT’s operations and successful service delivery model.